Every 10 Facebook check-ins at Edge Body Boot Camp Omaha will provide 1 pair of shoes for someone in need through Soles4Souls. 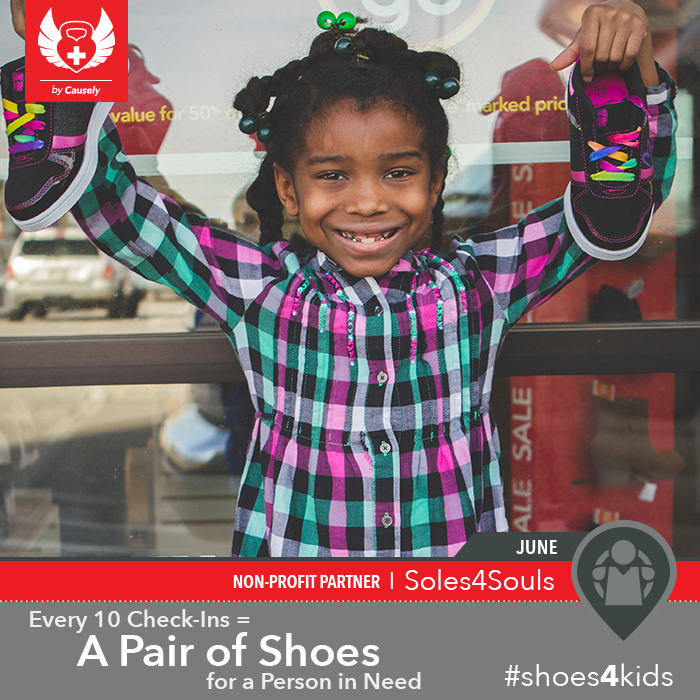 To learn more about Soles4Souls, check out their site at: https://soles4souls.org. Whether you’re coming to a boot camp class or personal training session, check in on Facebook and make sure to add #shoes4kids to your posts. It’s a great way to remind your friends of why you’re checking in! Come in and help support a good cause. Sign up for a FREE WEEK Membership HERE to get access to Unlimited Boot Camp classes for a full week!